Graded EX-MT+ 6.5 by BGS. 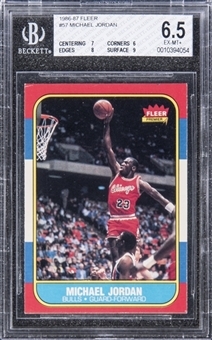 Hall of Famer Michael Jordan, in his Fleer trading card debut. 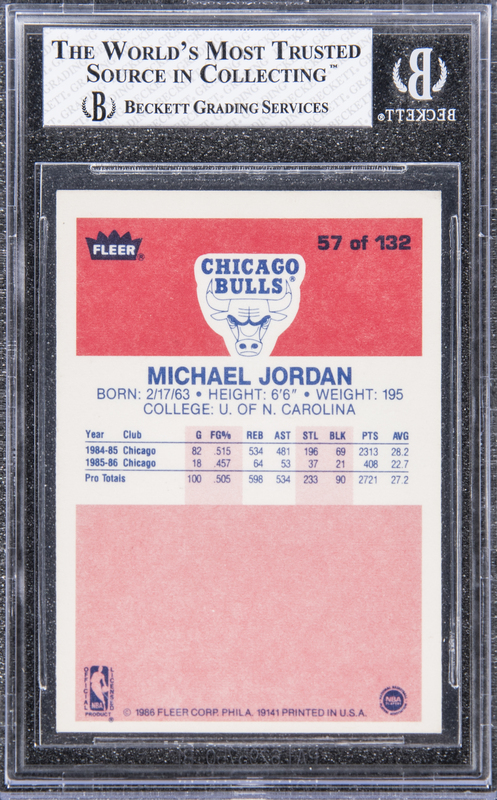 A nicely centered, brightly colored example of Jordan's Rookie Card, this collectible has lost a few touches of bold red pigment in peripheral areas of its cardfront. A small bump at the top-left corner is just mildly noticeable. 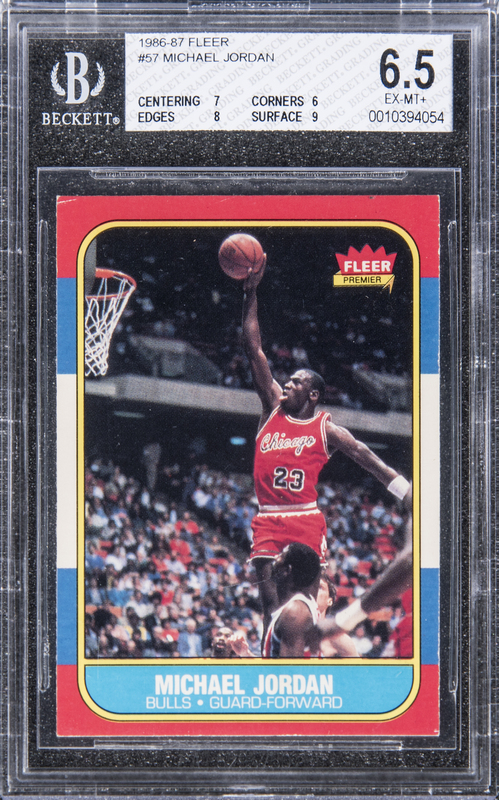 The item's presentation quality is only minimally impaired: the card's design – and its famous subject – remain as charismatic as ever! The card's BGS condition report: Centering 7, Corners 6, Edges 8, Surface 9. Excellent to Mint-plus condition.